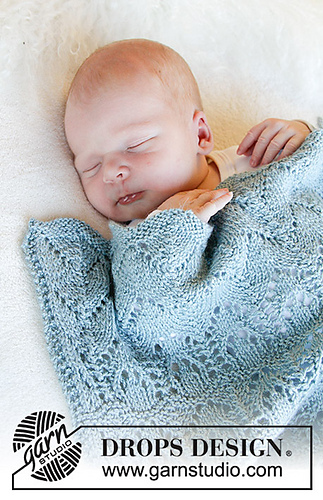 Knitted blanket with lace pattern for baby. Piece is knitted in DROPS BabyMerino. DROPS CIRCULAR NEEDLE (60 or 80 cm) SIZE 3.5 mm – or size needed to get 23 stitches and 30 rows in stocking stitch = width 10 cm and 10 cm vertically.